On June 1, 1796, Tennessee was admitted to the Union as the 16th state, the first state created from territory that had been under federal jurisdiction. The road to statehood was marked with many obstacles, and our state's first governor, John Sevier, played a significant role in navigating each one of them. You cannot travel this road, historically speaking, without encountering John Sevier. 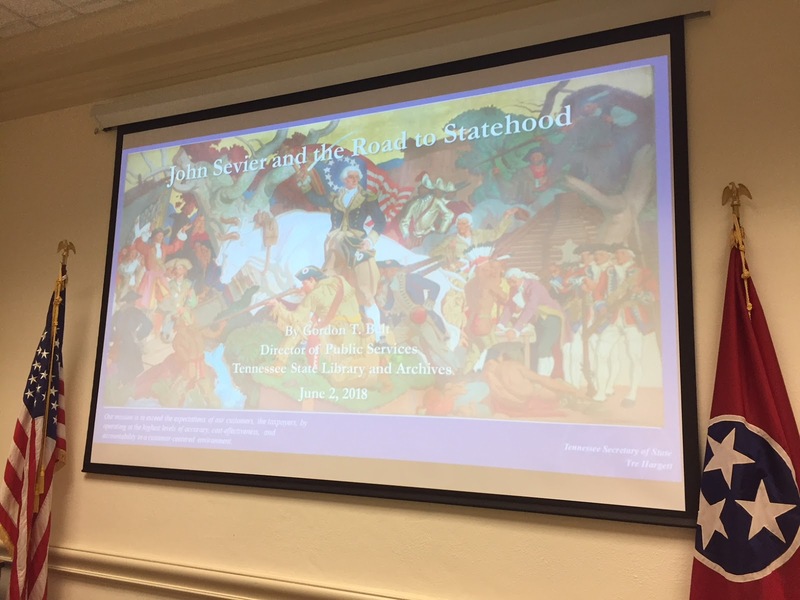 On June 2nd on this 222nd anniversary of Tennessee's statehood, I had the high honor of presenting a lecture at my workplace for our annual Statehood Day celebration, this year focusing on Tennessee’s first governor John Sevier. 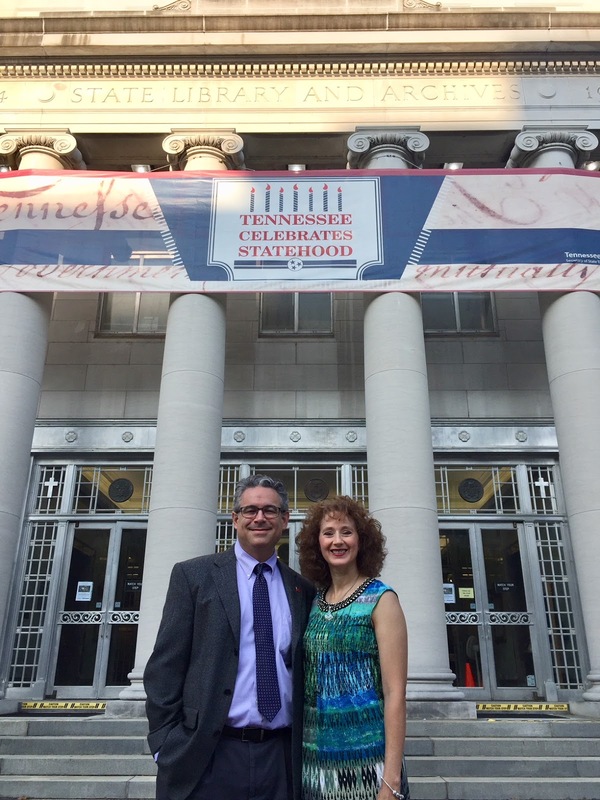 I discussed how Tennessee became a state and the prominent role Sevier played in Tennessee's early history. I am grateful for the opportunity to share this story. I received a warm reception, a kind and generous introduction by the president of our "Friends of the Library" group, and lots of interesting questions and positive feedback from the audience following my presentation. Here are a few images from the day, some courtesy of the Friends of the Library organization, including a peek at all three of Tennessee's State Constitutions, which were on display to the public together for only the third time in our state's history. It was truly a historic occasion, and I was honored to have a part in it. If you're interested in scheduling a lecture or book signing with us, we'd love to hear from you. Please visit the "Events & Appearances" section of this blog for more information. 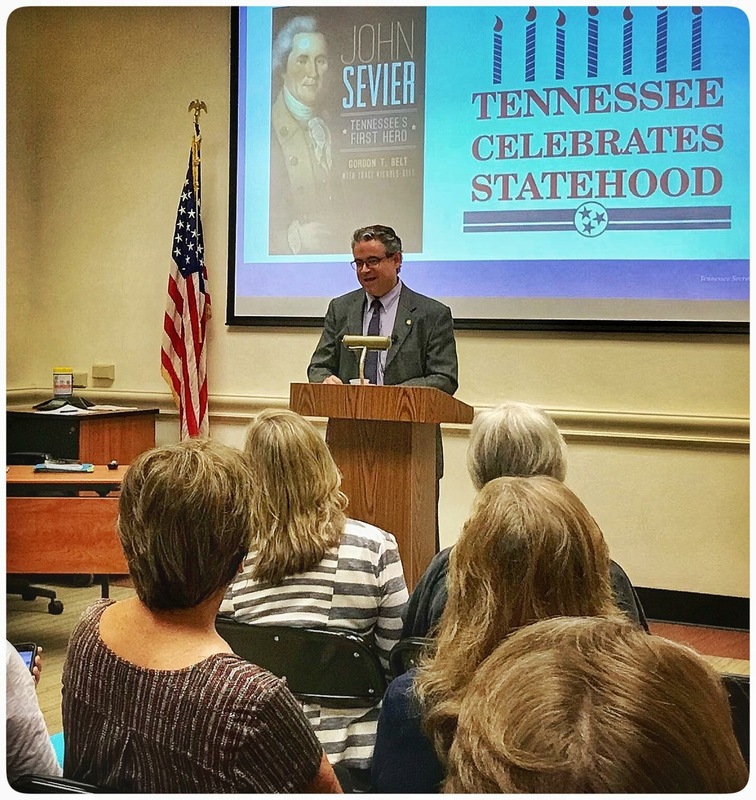 Gordon Belt is an information professional, archives advocate, public historian, and author of The History Press book, John Sevier: Tennessee's First Hero, which examines the life of Tennessee's first governor, John Sevier, through the lens of history and memory. 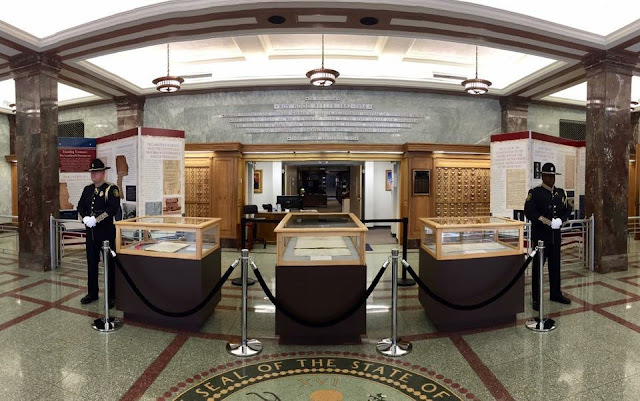 On The Posterity Project, Gordon offers reflections on archives, public history, and memory from his home state of Tennessee.